Rio de Janeiro, Brazil, July 13, 2015 - Coming at the end of a competition that has lasted a record ten weeks, the Group 1 Finals tournament is not only the crowning moment of this season’s FIVB World League, but also offers an exclusive taste of what we can expect at the Olympic Games roughly a year from now. The Olympic spirit will certainly be present in what is sure to be a sold-out Maracanãzinho in Rio de Janeiro, as six giants of the volleyball world go head to head at the test event for the 2016 summer games. The tournament features four teams that already know what it takes to win the FIVB World League: record winners Brazil (9 titles), Italy (8), defending champions the USA (2) and world champions Poland (1). They are joined by two former medal winners in Serbia (4x silver, 3x bronze) and France (1x silver). The hot favourites to pick up the million dollar jackpot are without doubt the hosts and record winners Brazil, who have their sights set firmly on a historic tenth title, five years after their last triumph. Even the team supposedly their biggest rivals, defending champions the USA, are keen to make the world number ones favourites for the title. “I think the favourites for the final round are for sure Brazil, because they are in their home country with big support. That makes a big difference,” said Taylor Sander. The MVP in last year’s FIVB World League produced an outstanding performance in the final to help the US team to a 3-1 victory and prevent a Brazilian win. The Selecao have been counting down the days to the opening match against France on Wednesday. The statistics do not necessarily favour the hosts. Brazil has already staged the final round four times, but has only gone on to clinch the title once, in Sao Paulo in 1993. The last two final rounds to be held in Rio de Janeiro yielded nothing more than one second (1995) and one fourth place (2008). The Brazilians have had to settle for second place in three of the four competitions since their latest triumph in 2010. The hosts’ dress rehearsal did not go entirely to plan either, with Brazil suffering a 2-3 defeat at home to Italy in the final preliminary round match. “We need to improve our game for the finals. 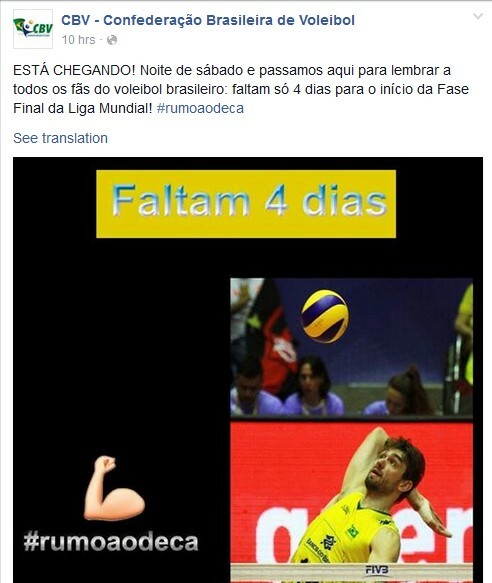 We will come back stronger,” promised Brazil’s setter Bruno Rezende. However, his team finds itself in what looks like the stronger of the groups in the first round. Not least as they face the USA in a re-run of last year’s final. “I think the chances of us reaching the title match again are high if we play how we want to and know we can play. I think we have a better team than last year,” said US star Sander, full of confidence. 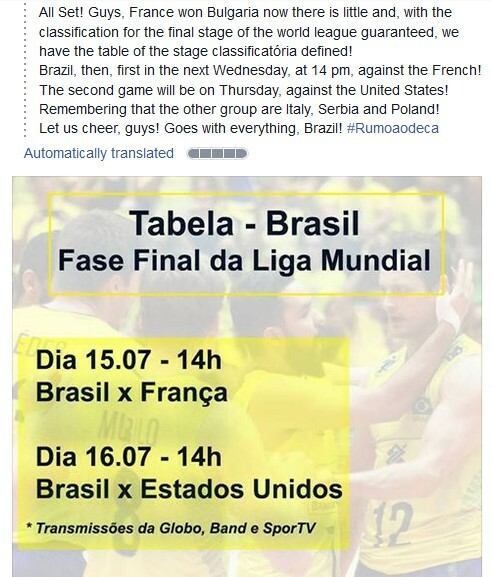 However, Brazil cannot afford to underestimate their other opponent in the preliminary round – Group 2 winners France. Poland won the FIVB World League in 2012. Meanwhile, Italy have been waiting a remarkable 15 years for their eighth title, having recently finished third two years in a row. Coach Mauro Berruto is hoping for a similar performance to the one in their 3-2 victory over Brazil in the final match of the preliminary round: “We managed to score with blocks in all sets and had a good fighting spirit. This is our real game. Now, in Rio, I want us to play as well as in this match.” However, Serbia is also a force to be reckoned with, having won three of four preliminary round matches against Italy. The 26th staging of the FIVB World League has seen the competition expand once again. 32 teams - four more than in 2014 - battle for the title at the most prestigious annual event in the volleyball world, which this year spans a record ten weeks.